Jamafa delivers two new length sortingmachines to Dual Venture Farms Inc in the US. - Jamafa Machinery B.V.
Jamafa delivers two new length sortingmachines to Dual Venture Farms Inc in the US. 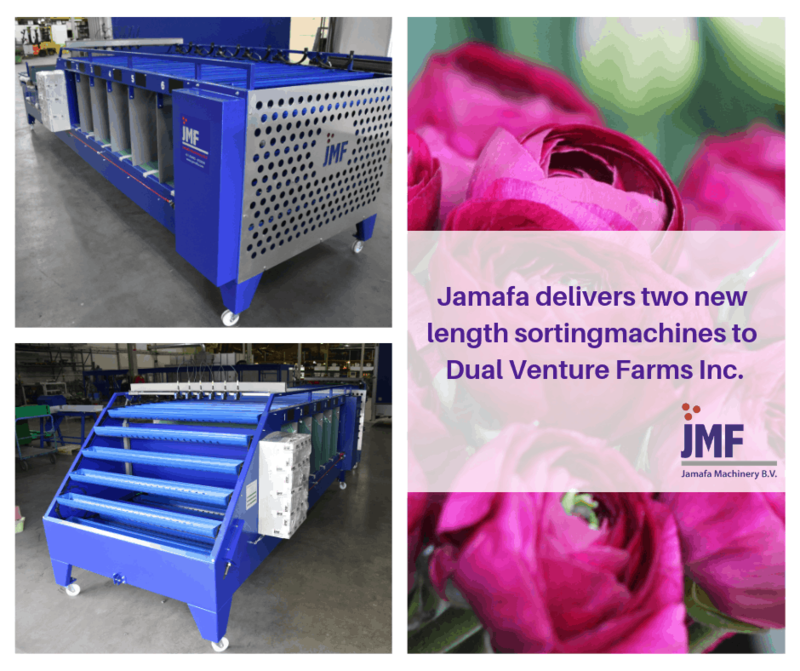 Jamafa delivers two new length sortingmachines to Dual Venture Farms Inc in the US. These machines have been delivered according the US standard. Jamafa delivers a revised 6 station length sorting machine to Kwekerij Ruco in Nieuwveen.